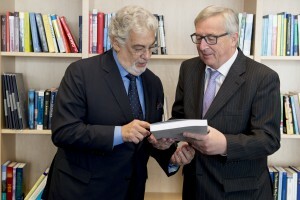 Plácido Domingo, in his capacity as President of Europa Nostra, congratulated Jean-Claude Juncker on the crucial decision recently taken by the President of the European Commission to organise a European Year of Cultural Heritage in 2018 and reiterated that Europa Nostra and its leadership stand ready to contribute to the successful implementation of this initiative which is so fundamental for Europe and its citizens. 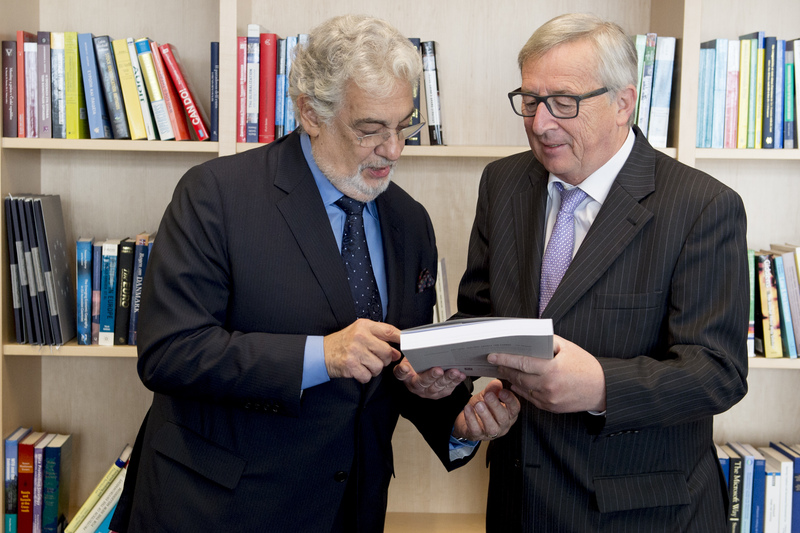 This special message was conveyed by Plácido Domingo to Jean-Claude Juncker during their meeting held on the afternoon of 18 May 2016 at the EC headquarters in Brussels, where Maestro Domingo, in his capacity of Honorary Chairman of IFPI – International Federation of the Phonographic Industry, was received by the EC President. President Juncker was also presented with a copy of the Report ‘Cultural Heritage Counts for Europe’ (CHCFE) – recently produced by Europa Nostra together with 5 other European partners – which demonstrates the positive impact of cultural heritage on Europe’s economy, society, culture and environment. “In the light of so many challenges – and also many threats Europe and the entire European project are facing today, we strongly believe that our culture and our cultural heritage constitute a strategic resource with a cohesive force for Europe. We therefore encourage you and your team to use this resource in a much more prominent way as a tool for achieving the European Commission’s policy priorities,” advocated the President of Europa Nostra. This entry was posted in European Commission, News, Policy. Bookmark the permalink.